Rain has long served as a catalyst for separating the greats from the also-rans in motorsport. Mechanical grip is diminished. Reduced visibility can sap a driver’s confidence. 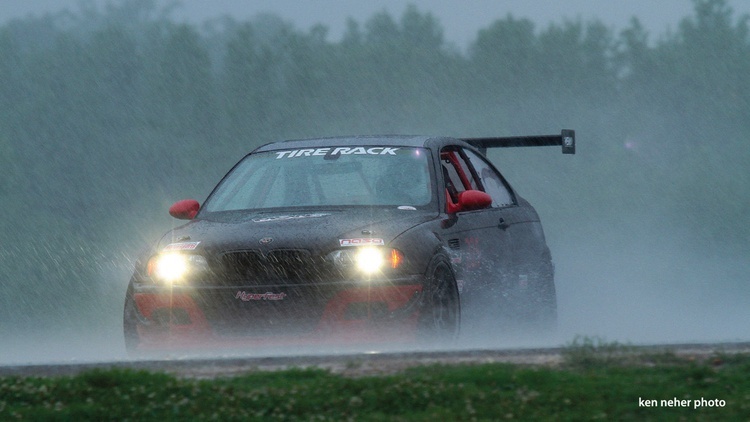 Hydroplaning is a genuine concern when high speed meets standing water. Aerodynamics fluctuate from moment to moment depending on wind and ambient pressure. One thing that doesn’t change, however, is the means of achieving a fast lap. Vehicles must maintain composure at the limit, regardless of conditions, and make use of every ounce of their performance. 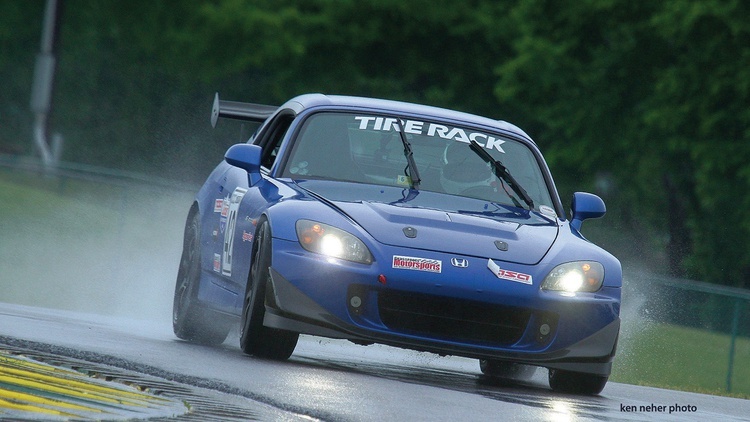 Massive spring storms hit Virginia International Raceway on both May 18 and 19, right during this year’s Tire Rack Ultimate Track Car Challenge presented by Grassroots Motorsports magazine. Predominantly wet sessions all day Friday shuffled the deck among our invited participants, putting handling, grip and balance at the fore. We hoped the event’s new Saturday time slot would serve as a makeup day with drier conditions, but the clouds missed the memo and unleashed another downpour just before the session began. 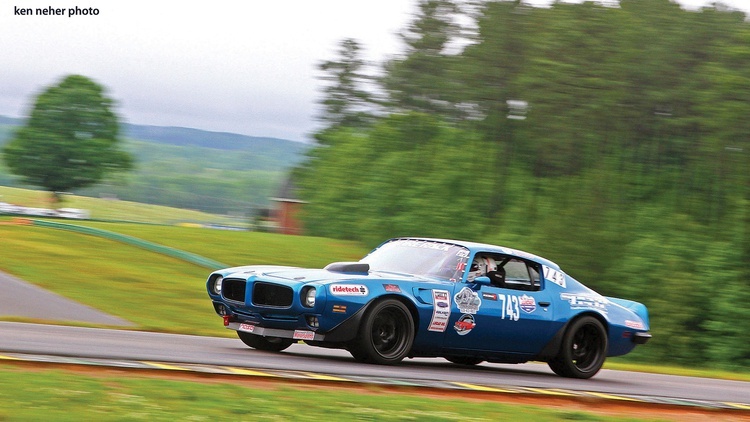 As always, the ninth annual UTCC was about finding that one perfect lap. The final standings are based on one type of data: each competitor’s single fastest time. Beyond that, safety is the only rule. 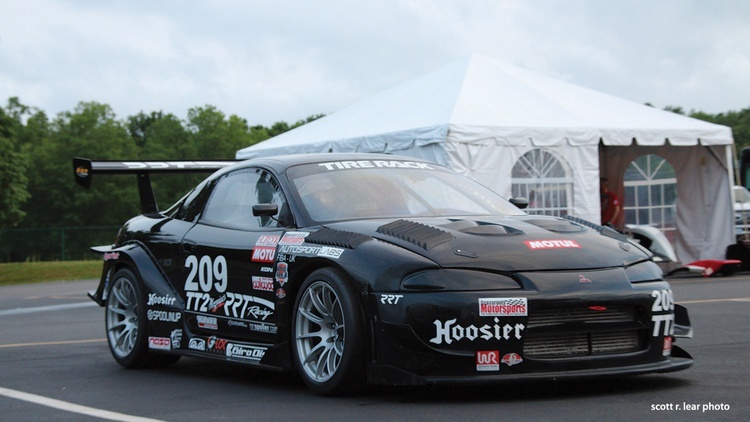 All UTCC cars must pass a National Auto Sport Association technical inspection, and all drivers must meet NASA’s standards for Time Trial competition. Safety is enforced on track, too: A spin or off-course excursion negates the time from that session, and multiple incidents can compound to delete the run times from future sessions. A wildly eclectic entry list is the heart of the UTCC, as we aim for a fun cross-section of what’s popular on track in each given year. Not every entrant is in the hunt for the fastest overall time, so we also award several trophies in various categories. Our friends at NASA Mid-Atlantic again managed the event logistics, maintaining their usual professionalism and positive attitude during their already hectic HyperFest weekend. The course workers deserve extra kudos for enduring the conditions without the benefit of scuba gear. 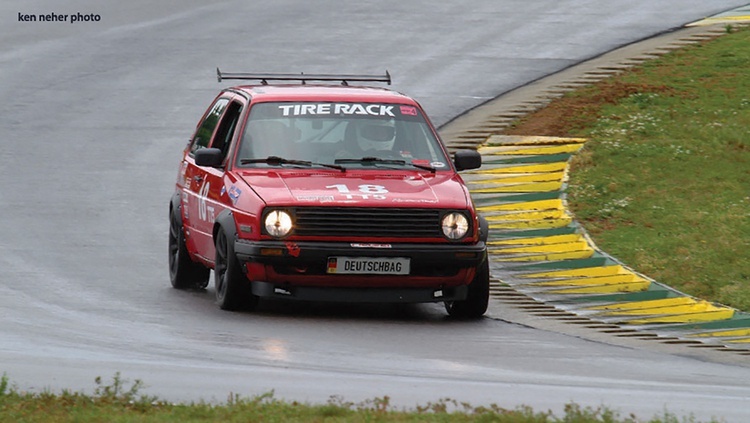 Finally, our thanks goes to those who braved the challenging conditions to push their machines to the limit around VIR’s 3.2-mile Full Course circuit. 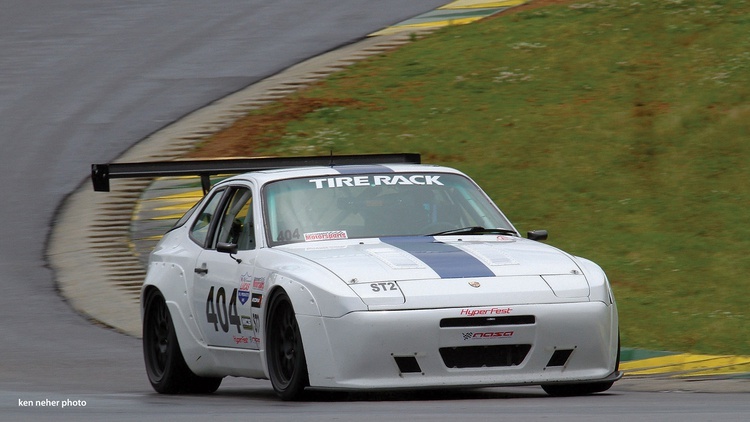 We proudly present the results from our 11th annual Tire Rack Ultimate Track Car Challenge. More details and photos from this year’s event, plus the latest on the 2019 UTCC, are online at ultimatetrackcar.com. When conditions are slick and traction is at a premium, a car designed from the ground up to squeeze every last tenth out of the course has the inherent advantage. 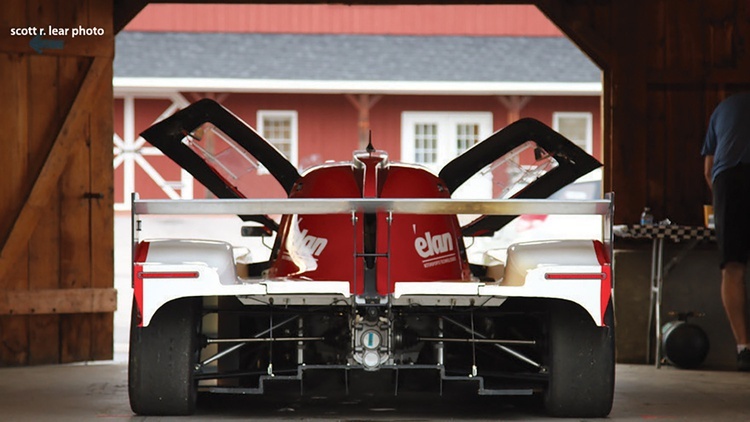 As a purpose-built racing machine, the Élan NP01 doesn’t suffer from any of the compromises that hinder street-derived racing machines. It’s not insanely powerful–indeed, the specs seem almost modest at a glance–but that didn’t prevent it from dominating this year’s UTCC. 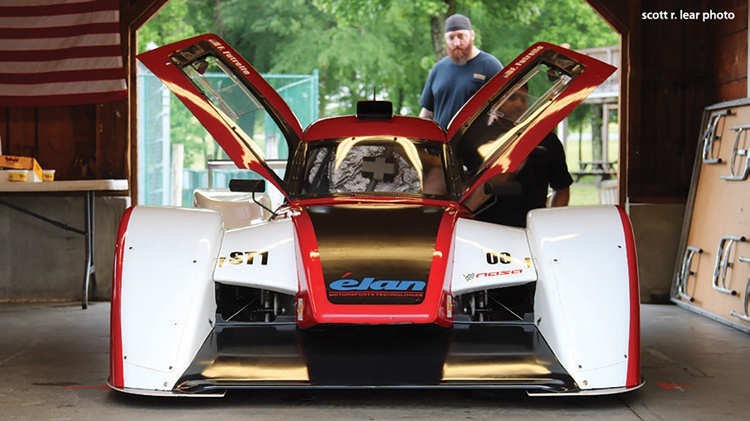 Élan Motorsports produces the NP01 as an affordable racing platform for the spec NASA Prototype Series. The NP01 debuted just a few years ago, and a complete kit will run you $76,125. 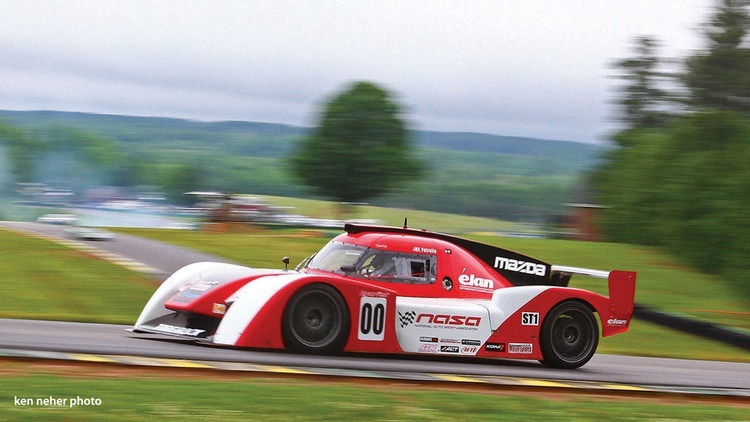 That sum gets you a professionally designed, low-slung, closed-cockpit prototype racer powered by a mid-mounted, 2-liter Mazda engine mated to a sequential gearbox. 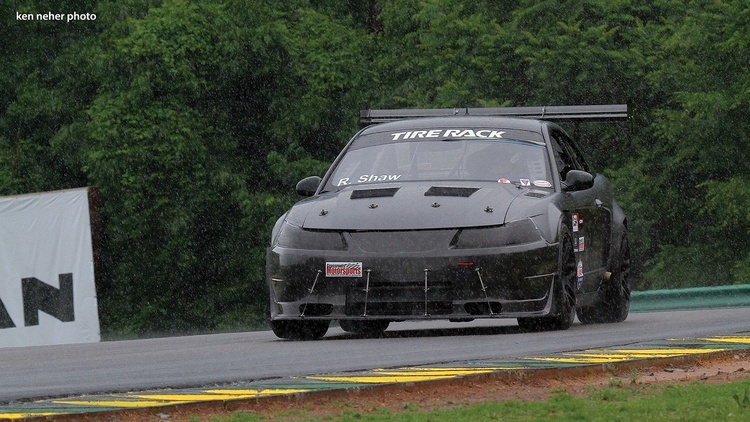 While the NP01 spec racers use a stock engine, this particular example is built for NASA’s Super Touring 1 class. The MZR engine is upgraded with a higher compression ratio plus revised pistons, rods, injectors and cams. The result is 238 horsepower, up from the spec car’s 180. 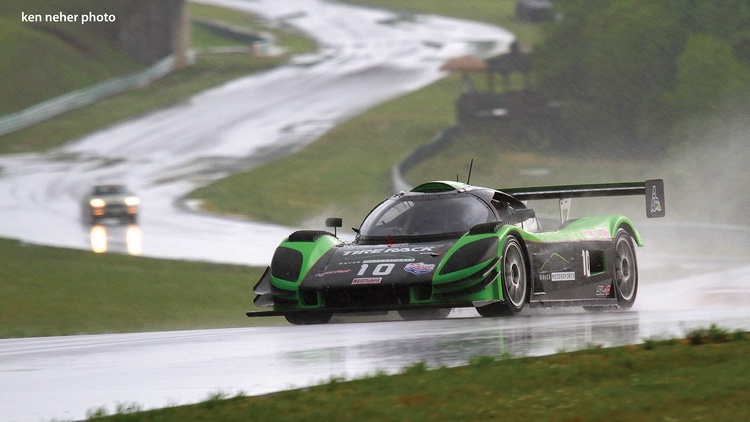 Despite the wet, tricky conditions, Franklin Futrelle was able to hustle the NP01 around VIR Full in just over 2 minutes. The NP01’s handling prowess was most evident in the Climbing Esses, which he entered at 129 mph and exited four turns later at 135 mph. Top speed on the back straight was 141 mph. We’ve seen much higher terminal velocities before, but few cars can carry momentum through a corner like the NP01. 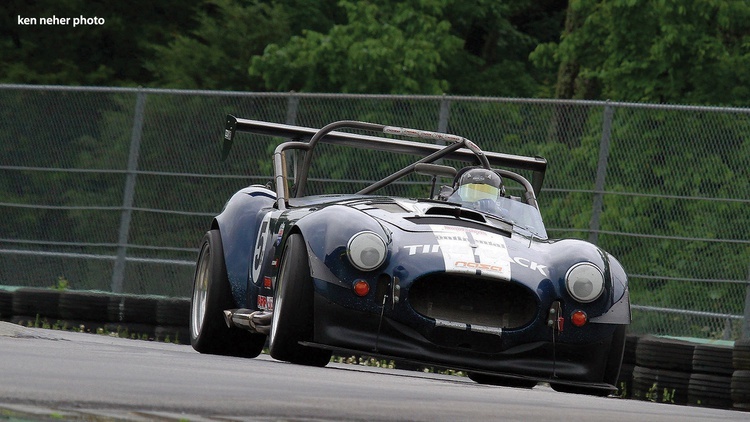 UTCC veteran Dan Raver scored his best-ever finish this year in his Agile Auto-built Superlite SL-C. This mean, green kit-based machine boasts nearly 700 horsepower and 700 lb.-ft. of torque from its Katech 427-cubic-inch, LS7-based V8. Michelin slicks provide serious mechanical grip, but with a posted weight of 2800 pounds with driver, there’s some mass to hustle around. The SL-C kit is designed with affordability in mind, so while the look implies carbon fiber and a huge budget, the car is composed of an aluminum monocoque tubular hybrid chassis topped with fiberglass body panels. The standard SL-C kit (minus engine) starts at $43,995, with adapter options for everything from an Audi V10 or Ferrari V12 to popular Ford and Chevy V8s. Dan felt that an overall win could have been in the cards if the weather had cooperated. 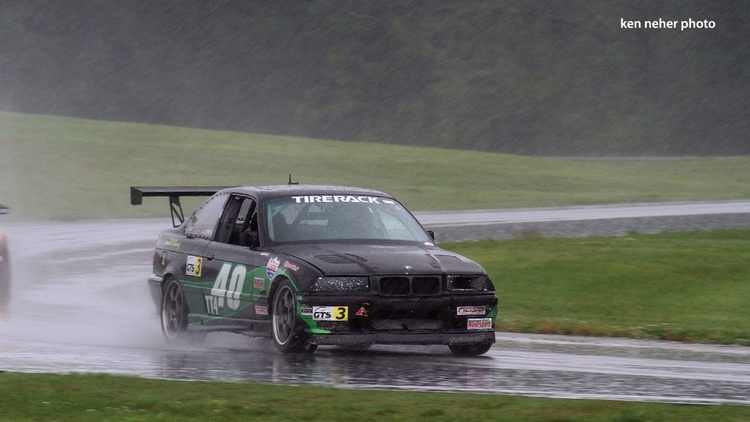 (To give you some idea of the rain’s impact, this same car ran a 1:48 in the dry during a race weekend last year.) However, his consolation prize came later. During the weekend’s HyperFest activities, Dan scored a pair of Unlimited-class wins while posting the fastest lap of the weekend. For decades the BMW M3 has received ample praise for being one of the finest turnkey performance cars out there, but even we are duly impressed by this result. Plenty of high-powered and wildly modified M-cars have entered the UTCC, but the 3.2-liter engine powering this example is…stock. 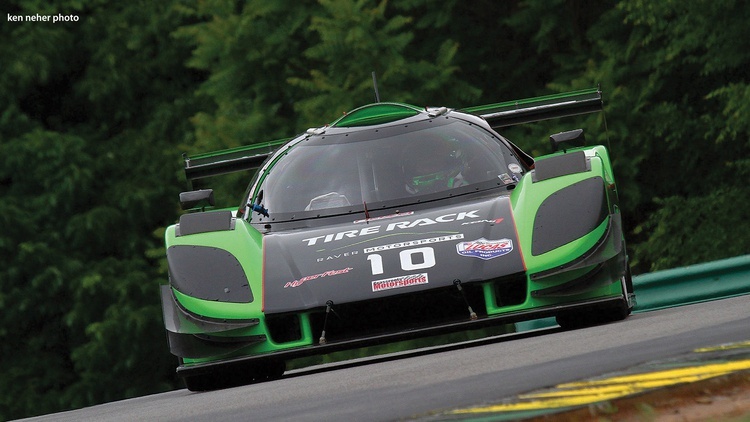 In fact, the modification list for the whole car is remarkably short, as it’s built to compete for hours on end in American Endurance Racing and World Racing League enduros. Here’s that list: a Motion Control Systems two-way damper kit, BimmerWorld carbon wing, aero bolt-ons, exhaust system, Yokohama Advan Neova AD08R street tires and Raybestos brake pads, plus the required roll cage and safety gear. That’s it. All due credit to driver Broderick Bauguess, who hammered out a killer lap in this legitimate door-slammer with 333 factory horses and endurance-worthy tires. Pop out the cage, reinstall the seats and interior, and this BMW would run errands in traffic with no fuss. 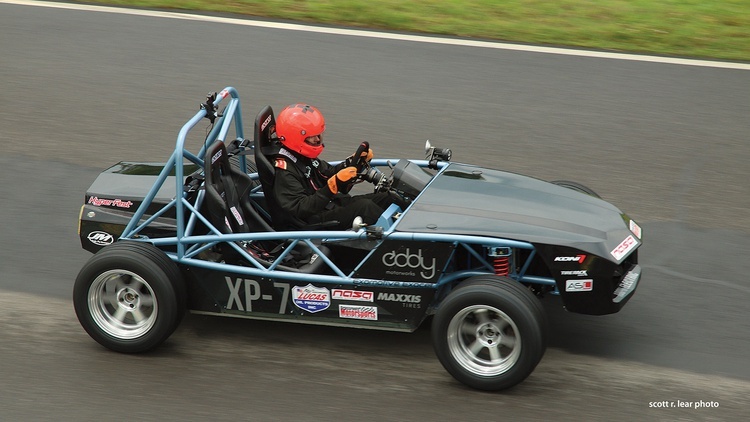 After struggling a bit for grip at last year’s event, Trevor upgraded the contact patches on his Factory Five Racing roadster–from 315mm to 335mm at the rear and 275mm to 295mm up front. The extra inch of rubber on each corner has improved the handling dynamics and helps the 600-horsepower Dart engine pull this 2385-pound car-and-driver combo out of corners. A front splitter, rear diffuser, 14-inch carbon-fiber wing and full undertray help glue the roadster to the pavement at speed, and six-piston Wilwoods drop the anchor when needed. Trevor notes that Factory Five has always offered tremendous support of his racing efforts through the years. Another note: He had to wipe the rain from his visor with the back of his glove at over 150 mph on the back straight. 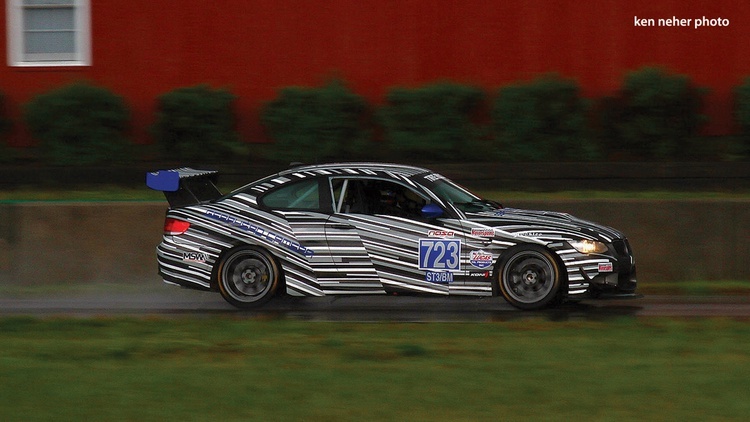 This V8-powered M3 has real racing pedigree, as it debuted for 2009 with the Kinetic Racing team in Grand-Am GS competition. After retiring from that series, the car was parked for a few years. A new owner revived the BMW for the 2017 Pirelli World Challenge season, where it raced two rounds. Max admits that when he recently purchased the car, he was intimidated by the amount of one-off and high-end racing gear. Fortunately, the deal included a large pile of spares. The engine used to deliver 430 wheel horsepower, but it’s since been detuned to promote longevity and meet the NASA ST3 rules. At 3335 pounds with driver, it’s reasonably light for this generation of M3 considering the robust pro cage. Öhlins four-way adjustable dampers and a BimmerWorld aero package manage the BFGoodrich R1S rubber on BimmerWorld TE:AL forged wheels. Although the body is 15 years old and the car has been disassembled down to the frame twice, Robert’s Mustang is no basket case. 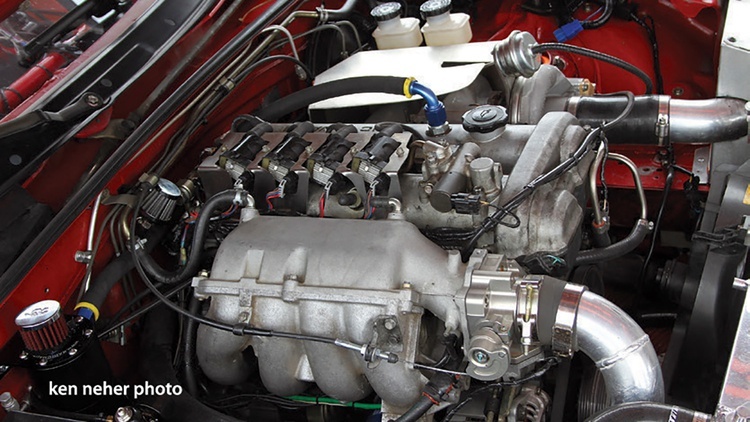 It sports a 32-valve Coyote 5.0 Aluminator crate engine mated to a pair of rear-mount turbochargers. They occupy the spot once taken up by the rear seat. Stainless pipes shuttle 11 psi of pressurized air to and fro to help the V8 crank out a massive 900 horsepower and 800 lb.-ft. of torque. A Cobra independent rear and Griggs SLA front suspension help the 3150-pound Mustang stick to the asphalt, while big 15-inch Brembo discs counter all that go at the end of the straight. 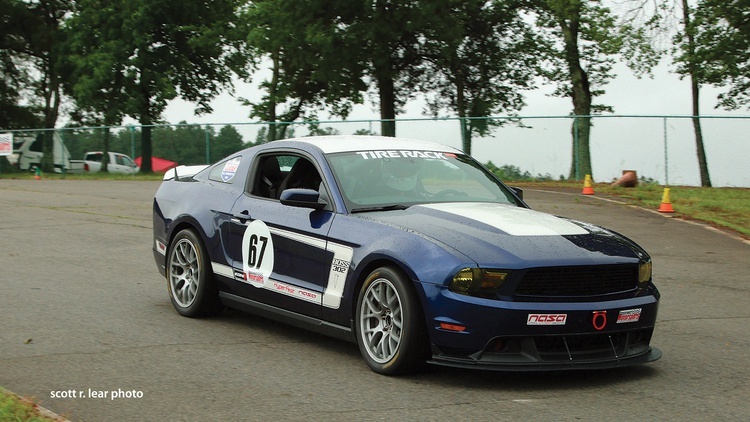 The stock Brembos remain fully competent in the braking zones, and while he upgraded to some Boss 302S suspension bits, the car remains street legal. A full interior adds to its mass–3800 pounds with driver–but he’s proud to have a turnkey street machine that’s reliably track-ready with just a set of tires and brake pads. Brady softened his Honda’s springs in the offseason, but as he clicked off the fastest lap of any small-bore door-slammer at this year’s UTCC, he still wasn’t sure if the change was beneficial. The wet conditions made benchmarking against the previous year impossible. The high-revving 2.2-liter, turbocharged four-banger gets 12 psi of boost and makes nearly 400 horsepower-solid grunt for the 3147-pound car-and-driver combo. Brady quips that the car’s torque figure remains zero, noting that it’s still a Honda. 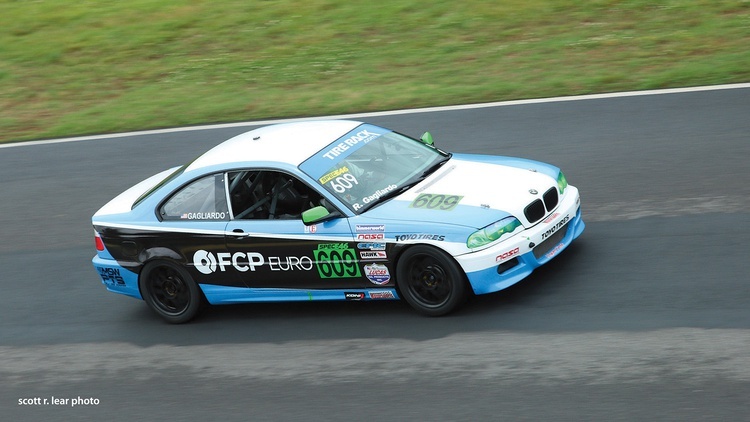 Robert, who won the 2016 Spec E46 Eastern States Championship, debuted this new Spec E46 machine at the UTCC. The car runs the series-mandated Hyperco springs, single-adjustable Motion Control suspension and Epic ECU tune. Also required by the rules: Weight with driver can’t dip below 2850 pounds, and horsepower can’t top 225 at the wheels. The class continues to gain popularity, as 25 Spec E46 BMWs took the green the following day at HyperFest. This Porsche was stock until 2014, when the factory four-banger expired during an HPDE. Matthew had the engine rebuilt, but that, too, failed. 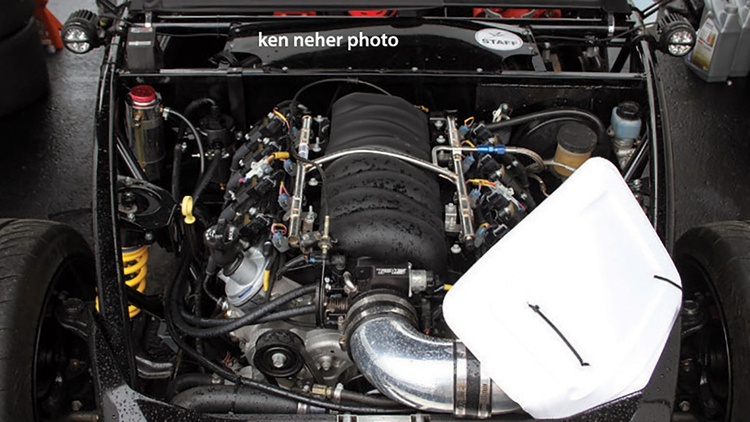 So he opted to yank out the old lump and throw in a dry-sumped LS3–specifically, Chevrolet Performance’s LS376/525. While that engine can deliver 480 horsepower to the wheels, Matthew dials it back in the wet to just 340. On-track weight is about 2900 pounds. An APR GT250 rear wing intensifies the Porsche’s grip, while a Hairy Glass front splitter and wide-body kit round out its aggressive posture and make room for giant Hoosier tires. Jason served double duty this year, competing in both this standard, gas-fueled Exocet and the battery-powered version. This one, a former GRM Skidpad Challenge winner, sports a Chevy LS3 under the hood. It boasts 441 horses and 436 lb.-ft. of torque and a combined weight of just 1690 pounds with driver. Jason’s targeted sub-2-minute time will have to wait for fairer skies, however, as the 275mm Hoosiers could only do so much in the wet. 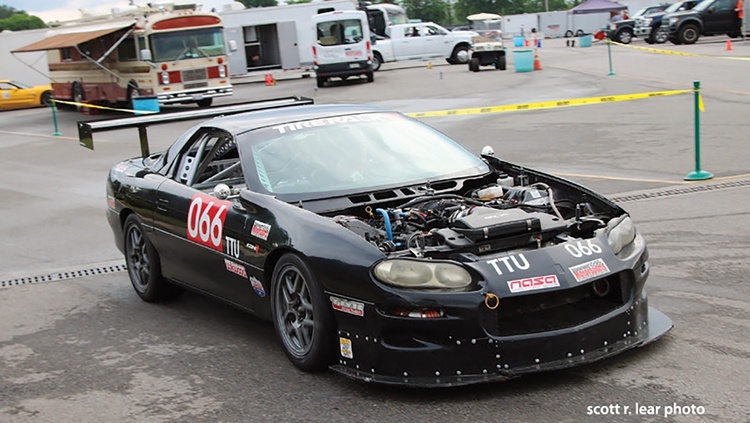 For this year’s UTCC, Mike removed the supercharger from his Z-car’s V6 and invested more in its handling. SPL Parts suspension components, an AJ Hartman wing and Penske dampers work toward that goal. The engine isn’t stock, however, as Mike added bolt-ons, cams and ethanol to make about 310 wheel horsepower. The car hits his weight target, 3000 pounds with driver, with just 1 pound to spare. Emilio wears many hats. 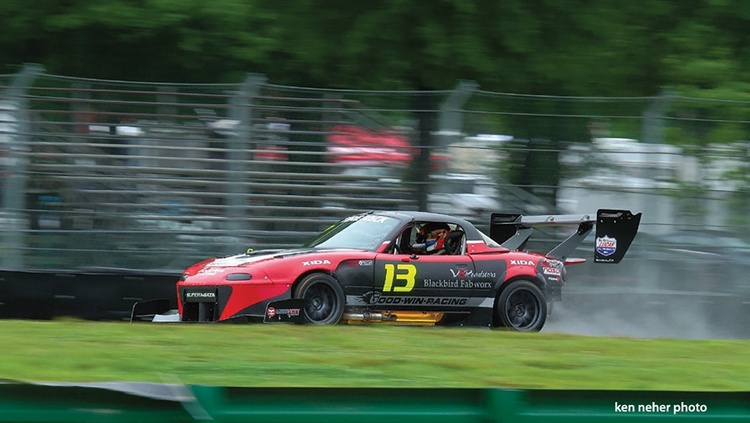 He owns 949 Racing, Supermiata, and the Maxxis Supermiata Cup, a West Coast spec-style racing series with fewer restrictions than vanilla Spec Miata. 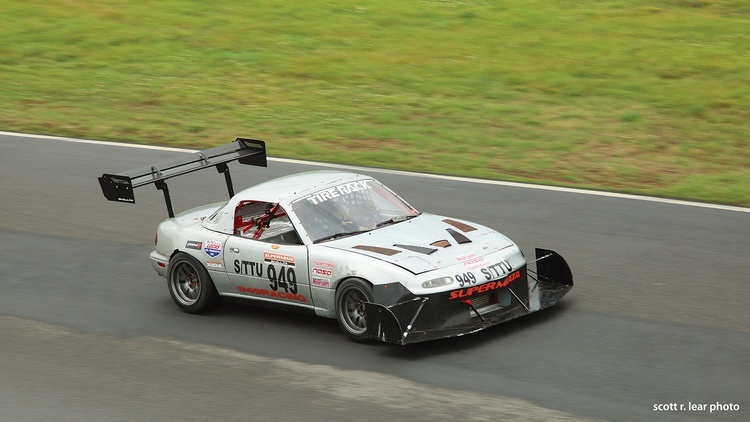 This turbocharged Miata races in the series’ S1 category, where cars are limited to 220 horsepower. For the UTCC, though, Emilio loaded an uncorked map that delivers 405 horsepower at the wheels. A taller differential ratio and more aggressive wing were also fitted. 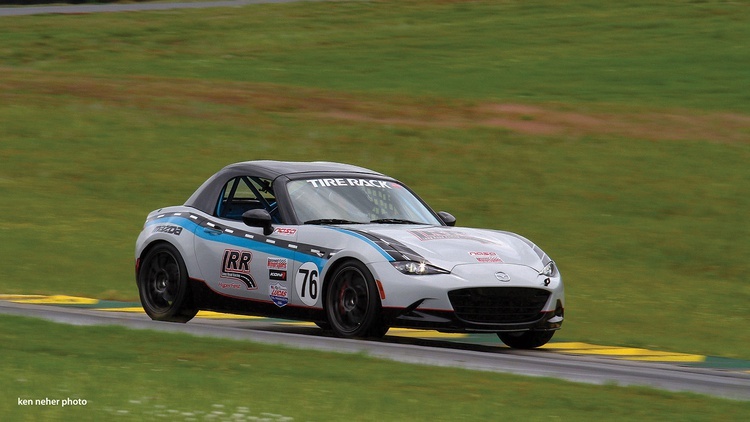 On race day, however, a TPS sensor glitch had the power fluctuating wildly on the straights, hampering the Miata’s performance. Two years ago, Michael had a good UTCC showing in his Acura NSX. He also brought a supercharged C7 Corvette Z06 to that same event, but it didn’t want to play nicely. Eventually Michael decided that a Corvette Grand Sport was better suited to regular track work, and this was his opportunity to prove it. The stock 460-horsepower V8 provides plenty of thrust, while Hoosier rubber, an APR wing, a tunable DSC Sport suspension and AP Racing brakes nudge up the g-loads. Long Road Racing, builders of every Global MX-5 Cup racer out there, returned to the UTCC with this hotted-up, sequential-shift variant. An Edelbrock supercharger bumps output by 60 horsepower to a peak of 220, and an oversized C&R radiator keeps temperatures in check even on hot days. 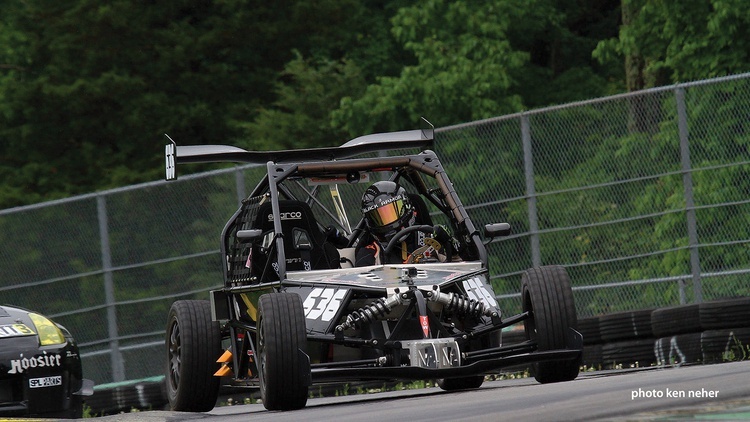 The new hardware makes the car heavier–2415 pounds with driver–but the added power more than compensates. John successfully defended his Fastest All-Wheel-Drive Car title with his Eclipse, a car he’s been enjoying for 17 years. A new twin-scroll turbocharger recently replaced a blown turbine on the stroked 2.3-liter 4G63T engine, and the car has given up some power in favor of a lower competition weight for NASA’s TT2 category. Most significantly, a new carbon-fiber roof shaved 36 pounds off the top. The car now sits at 2860 pounds without driver, and power is just shy of 400 horses. On race day, John was still dialing in a new set of Öhlins dampers. 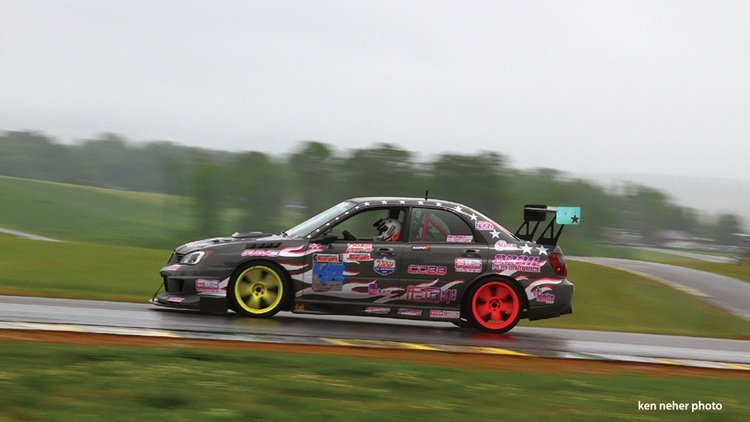 Kendall’s Impreza is a showcase for his Subaru tuning company, Mechanical Advantage. The built 2.5-liter flat-four pumps out a nice, square 500 horsepower and 500 lb.-ft. of torque. The front six-piston brakes come from a Corvette Z06, and the wild aero components include a massive trunk pass-through tunnel for the rear-mount radiator. Kendall hopes to make this one of the fastest Subies in the country; it’s well on its way with marque honors from this event. When Robert ran this Porsche at our 2016 event, it was still street driven. Since then it’s gotten the TPC Racing treatment, and today it features a mix of OEM and Porsche Motorsports components. Displacement is up from 3.6 to 4.0 liters, and the still naturally aspirated flat-six makes an impressive 453 wheel horsepower at 8400 rpm. Weight is just 3200 pounds with driver. Justin bought his Scion new, and within a year he had the xA on track–despite its 86 wheel horsepower. The desire for more speed led him first to a Blitz supercharger and then to a Greddy turbo. The recent acquisition of a truck has allowed Justin to go nuts with the modifications, and the Scion now produces 36 psi, enough to make 411 wheel horsepower at 9000 rpm. He tends to track the Scion in the 280-to-320-horsepower range. That’s stout power in a car that weighed 2200 pounds before the half cage went in. Torque steer is an issue, he reports. 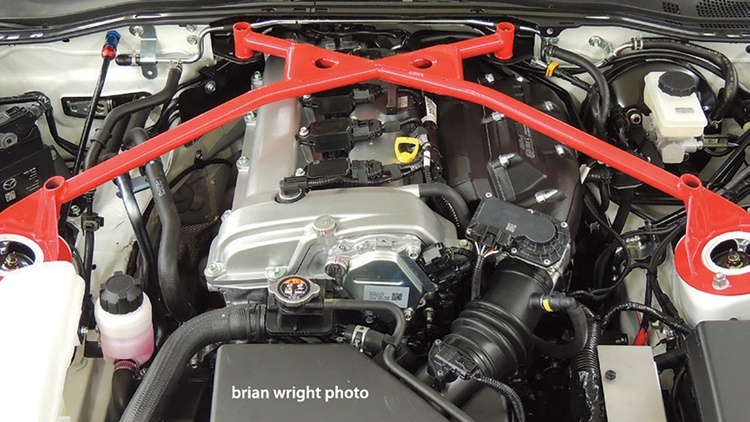 The built 2-liter engine in Brian’s turbocharged Focus blasts out 550 horses thanks to a Garrett Gen 2 GTX3071R turbocharger, custom intake, intercooler and exhaust. A Cobb Accessport V3 tune is set for E85 ethanol fuel. 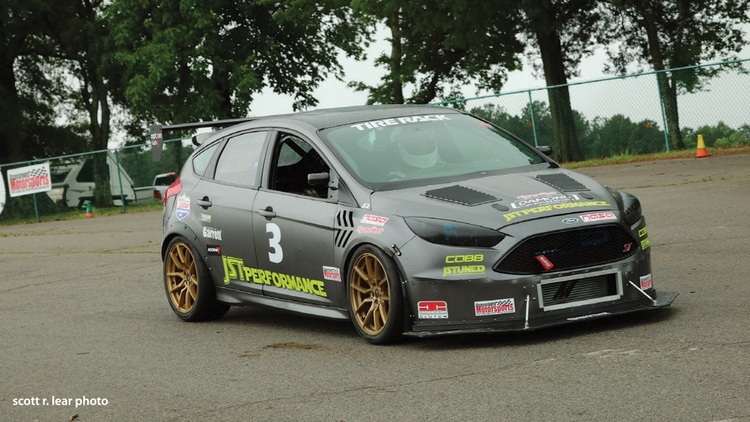 Since grabbing last year’s fastest FWD title, Brian has shed a hundred pounds from the car. Even though plumbing issues limited engine output, Brian’s Focus was still spinning its wheels. A distinctive pulsing whoosh from the electronic boost controller is one of the few outward clues that Delmar’s Subaru wagon is a bit spicier than the average model. Indeed, a Cosworth 2.5-liter engine pressurized to 21 psi and making 460 wheel horsepower now powers this 3500-pound daily driver. The full interior even doubles as a small motel room for camping at the track. Delmar tries to keep every modification as stock-looking as possible to maintain sleeper status. 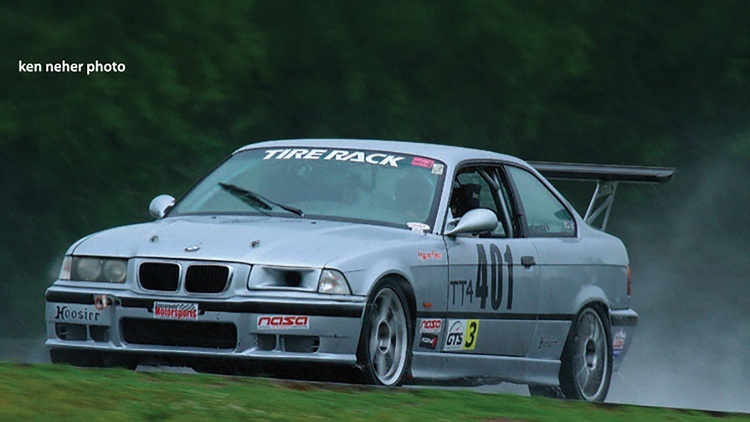 Jeff returned with his trusty M3, although the left side required some pre-event repairs after a differential failure sent the car into the wall at the Oak Tree corner. This BMW is just shy of 250 horses at the rear wheels thanks to an exhaust header and a freer-flowing air filter, while Wilwood brakes improve deceleration. It weighs 2930 pounds with Jeff in the seat, and he’s hoping to beat a 2:10 lap in the dry in the near future. The Leviathan is a custom creation built to take on the Pikes Peak International Hill Climb, and Jeremy and his team have spent three years designing and testing it with a mix of CAD development and good old-fashioned tinkering. A 210-horsepower Suzuki Hayabusa motorcycle engine routes power through a chain-drive, limited-slip differential, and an array of wing elements more than doubles the effective pressure on the tires at higher speeds. 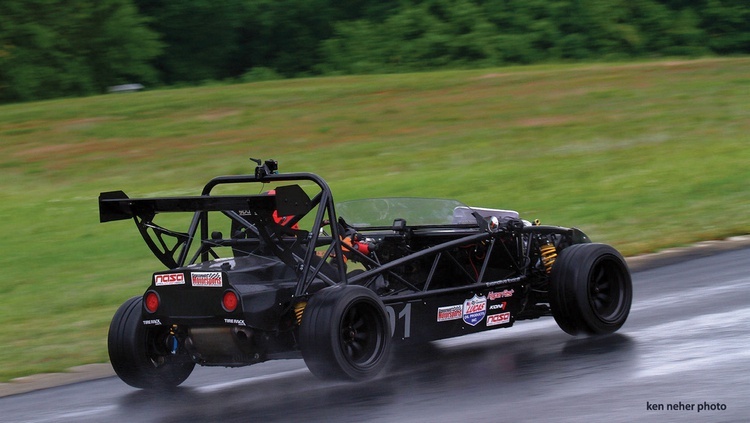 The car weighs 1251 pounds without driver, and Jeff hopes to tackle the famed mountain race in it next year. 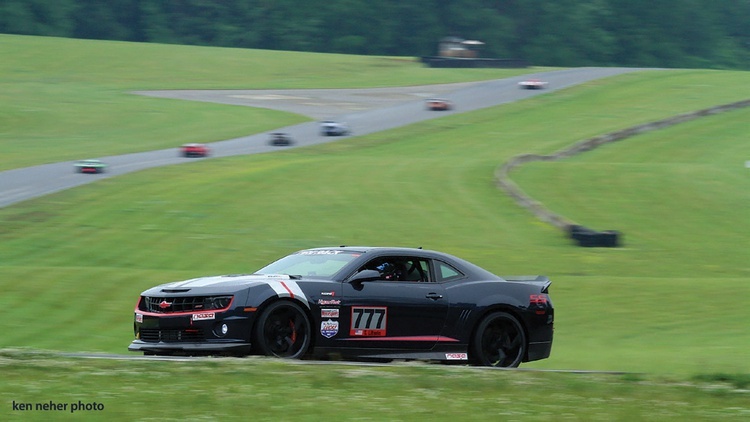 Thomas drove his new Camaro off the lot in September 2012 and had it on track at VIR a month later. 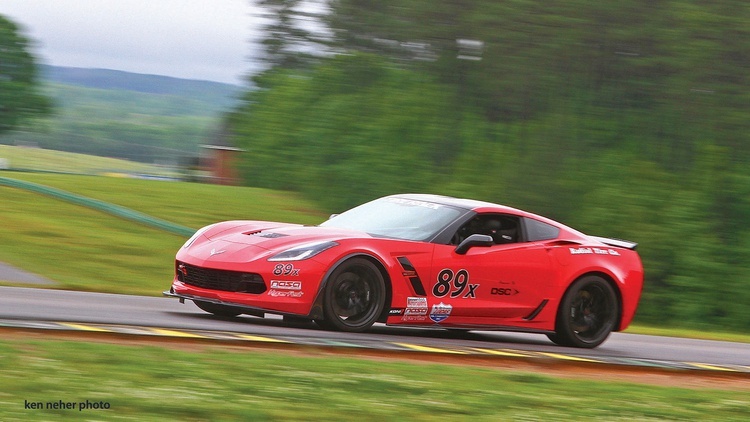 He’s been chipping away at his lap time with systematic improvements, including various engine bolt-ons and internal upgrades, a race-oriented torque converter for the factory automatic transmission, a Detroit Speed Racing suspension and GM-X aero bits. This one isn’t lightweight at 3900 pounds with driver, but the 505 horses are up to the task. 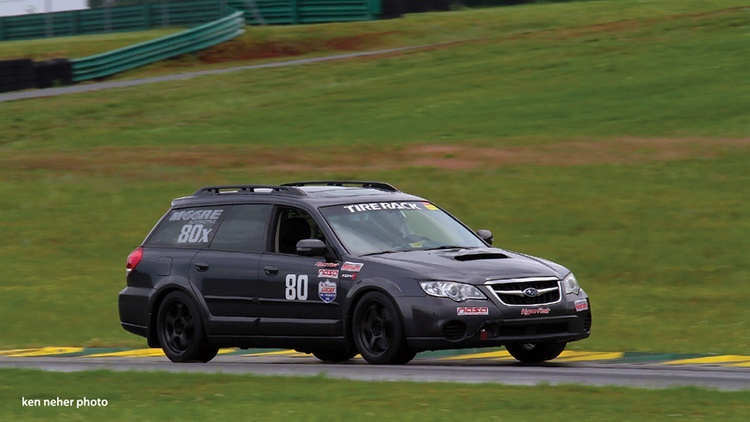 Thomas recently ran the Optima Ultimate Street Car Challenge in the car, too. Todd generally runs his M3 in NASA’s TT4 category, where it motivates 2905 pounds of car and driver with 245 ponies from the 3.2-liter inline-six. He also uses it to raise money for the Susan G. Komen breast cancer foundation by raffing off ride-alongs at one of the charity’s dinners. For the UTCC, he was able to remove 170 pounds of ballast normally bolted to the passenger seat rail. Lexan side and rear windows, a carbon-fiber sunroof delete and a DTM fiberglass hood cut mass from up high to improve handling. Tracy goes back with this Corvette. It’s where she learned to drive a manual gearbox and later got her start with motorsports activities–autocross and then time trials with the National Council of Corvette Clubs. The Corvette is now powered by a 7-liter, 650-horsepower LS7 Lingenfelter V8, and other upgrades include APR aerodynamic pieces, Johnny O’Connell dampers and Hoosier A7 tires. With a dry fuel tank, the Corvette hits 3322 pounds with driver. A wrecked Tesla Model S donated its drive motor, battery array and electronics to create this all-new electric variant of the Exocet kit car. Keeping the various sensors happy wasn’t easy after the transplant, but once sorted the 2000-pound beast awoke with 480 horsepower and a nearly infinite wall of electric torque at any rpm. This silent sprinter earned Officials’ Choice honors. 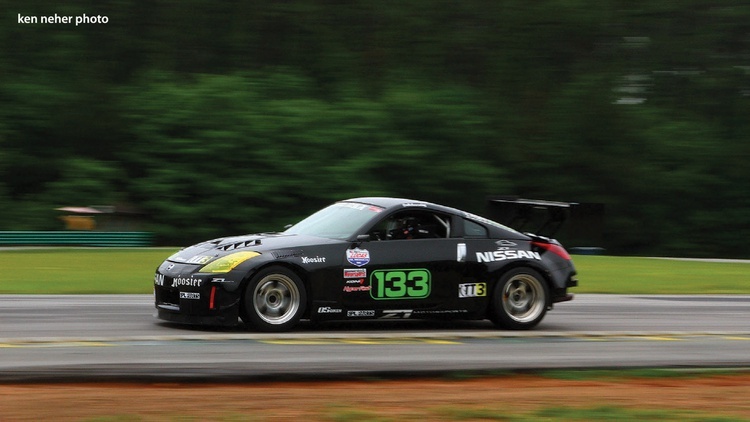 Since the Electrocet has no gearbox, top speed becomes an issue: It maxed out near 100 mph at Road Atlanta, although Jason and team were hopeful that taller tires would yield 120 mph at VIR. Jason says a lack of gear deceleration means it’s easy to unload the car, and the mute drivetrain makes judging wheelspin in the wet tricky. 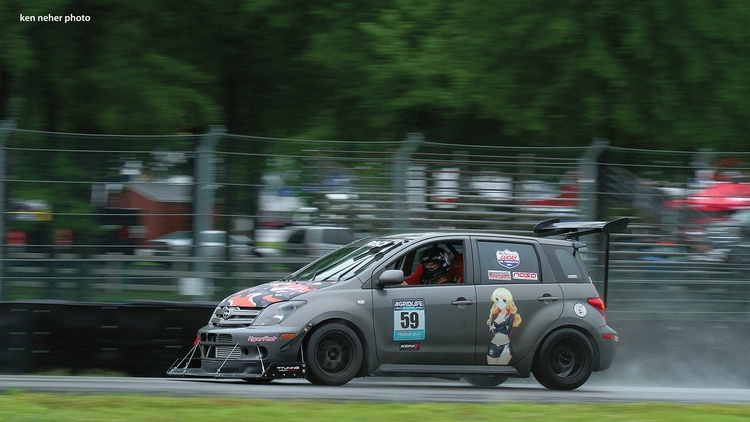 Roy entered the UTCC as the current points leader in NASA Southeast’s Time Trial 5 category with his modified Golf GTI. A stock 2.8-liter VR6 from a 1992 Corrado replaced the original inline-four, bringing horsepower up to 188. A Corrado also donated its brake calipers, which are paired with StopTech vented rotors and Hawk Blue pads. Koni dampers, coil-overs and 225/45R15 Toyo RRs round out the handling upgrades. John’s Firebird draws a crowd whenever it’s parked in the paddock, as it retains its classic style–and street legality–despite a bevy of potent upgrades. The small-block Chevy V8 pumps out a stout 627 crank horsepower and 580 lb.-ft. of torque at the dyno. Extensive metal shaping at the fenders allowed John to fit 315mm tires, while the full cage and comprehensive fire-suppression coverage earned him Best Safety Setup. This machine also appeared at the Optima Ultimate Street Car finals in Vegas last year. 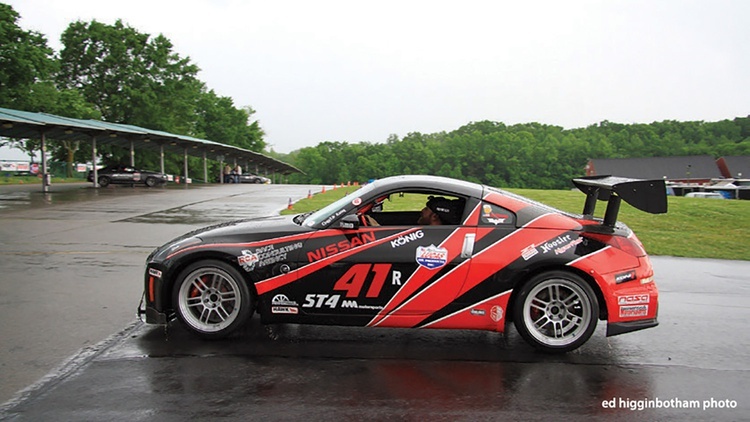 Adam bought this Nissan 11 years ago, back when he was 19, but he recently transformed the car into a TT4/ST4 competitor in NASA’s Mid-Atlantic region. The 3.5-liter V6 remains under the hood, making 289 horses with help from a custom intake and performance headers. 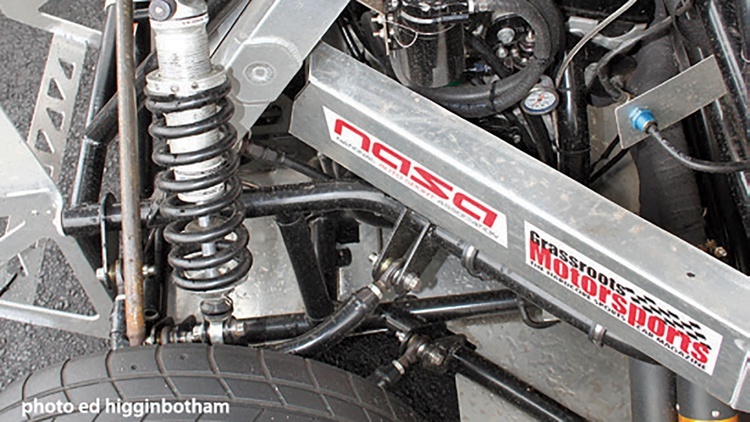 Öhlins coil-overs, solid bushings, stiffer anti-roll bars and a corrected roll center improve the 3100-pound Z-car’s behavior in the corners. 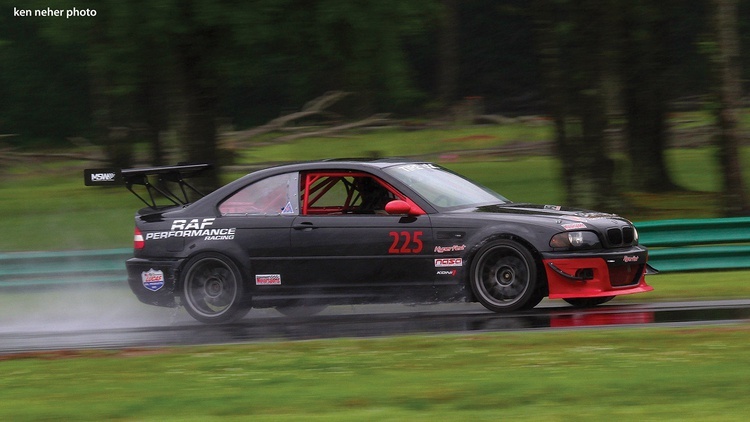 Adam hopes to run at the NASA Championships later this year in Super Touring 4. This R32-chassis Skyline isn’t the world-eating GT-R. It’s the more pedestrian but still fun rear-wheel-drive GTS-T, a car that only recently became legal for import due to the 25-year classic car limitation. 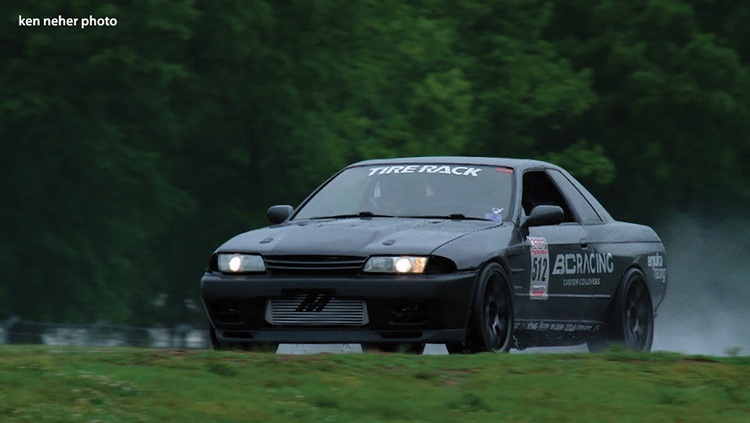 Its turbocharged inline-six dynoed at 207 wheel horsepower at around 9 psi of boost, and Kevin and Savanna swapped driving duties at the UTCC. 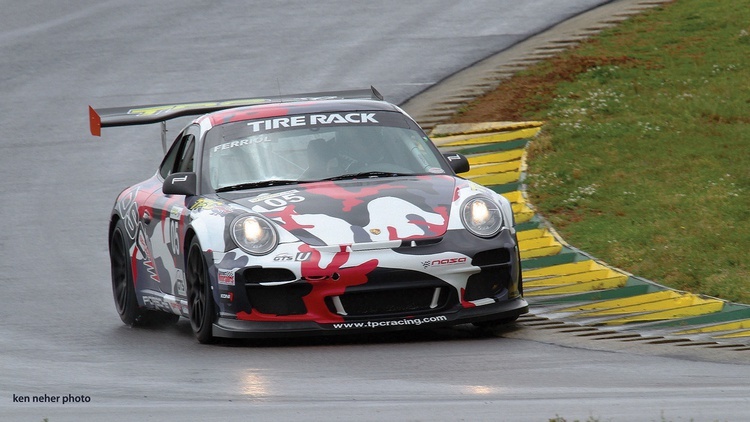 Prep included chasing away some electrical gremlins that appeared a week earlier at Road Atlanta. Scott’s Camaro, a five-time UTCC vet, is powered by an LS stroker engine displacing 416 cubic inches and squeezing the intake charge at a stout 11.8:1 compression ratio. Thanks to a bevy of other bolt-ons, the V8 makes 658 horses and 668 lb.-ft. of torque. Its body has been gutted and seam-welded, and Scott has removed weight wherever possible; with driver, the number on the scale is now 3080 pounds. 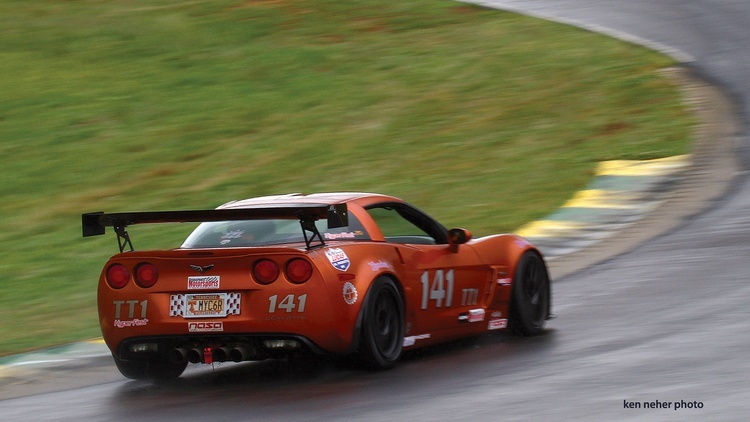 He found some last-minute Nitto street tires on Corvette wheels and tiptoed in the heavy rain to post a time. 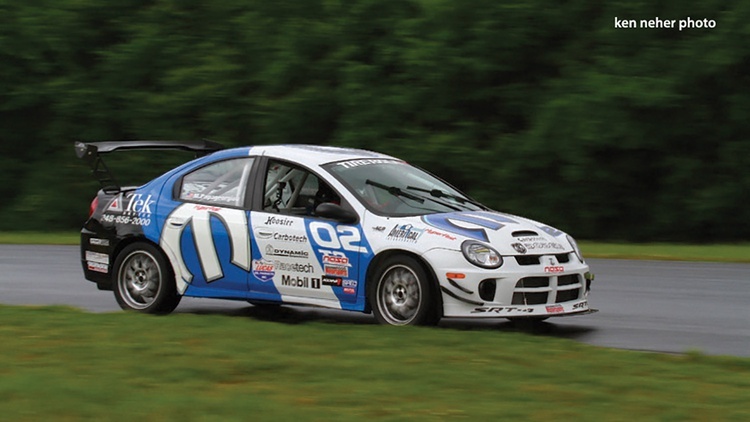 This SRT4 didn’t spend much time on the streets, as it was part of the Mopar Motorsports Touring 2 fleet back in 2006. Michael has since taken the 2.4-liter turbo four to a more extreme level with a Mopar Stage 3 turbo kit and other enhancements. Power peaks at 450 horses and 460 lb.-ft. of torque–still through the front wheels–on 110-octane fuel. It sits at 2580 pounds without driver. Despite racking up more than 12,000 track miles, it’s still on the original engine. An off in the wet and the resultant damage took up much of Michael’s day, unfortunately, and a lack of tires for the rain capped his pace considerably. Sally’s 450-horsepower Subie gets its punch from a built IAG Performance engine, a Garrett Gen 2 turbo, and Cobb Accessport tune with E85 ethanol fuel. A full SuperPro suspension setup for the GD-chassis WRX is augmented by the front splitter and rear wing arrangement. Sally ran Nexen street tires to cope with the rain. Her AiM onboard timing system said that she managed a best lap of 2:19, but transponder issues and running afoul of the NASA TT rules regarding offs and spins resulted in the DNF on the official score sheet. A GM V6 engine running E85 ethanol gives Ryan’s sub-2300-pound Miata nearly 300 horsepower of grunt. It’s backed by a six-speed manual transmission sourced from a Cadillac CTS. The chassis was stitch-welded and reshaped to accommodate the dual side-exit exhaust pipes. Massive aero elements make this a showcase for Ryan’s Goodwin Racing effort, which has run in Global Time Attack and more. Ryan provided his best GPS-based time, as a mix of on-track flags and a wonky transponder kept him out of the official standings. Shout out to everyone who raced during the most rain I've ever seen at a race weekend. There was a literal waterfall cascading onto the track before the esses at one point. Wow! What an awesomely diverse group of machines!